From iconic Rattlesnake Arch in Rattlesnake Canyon, the evening sky lights up at the end of a July day. This beautiful area is found in the McInnis Canyons National Conservation Area. While this is open to the public, access is difficult, requiring either a rugged 4WD truck or a 15 mile round trip hike. 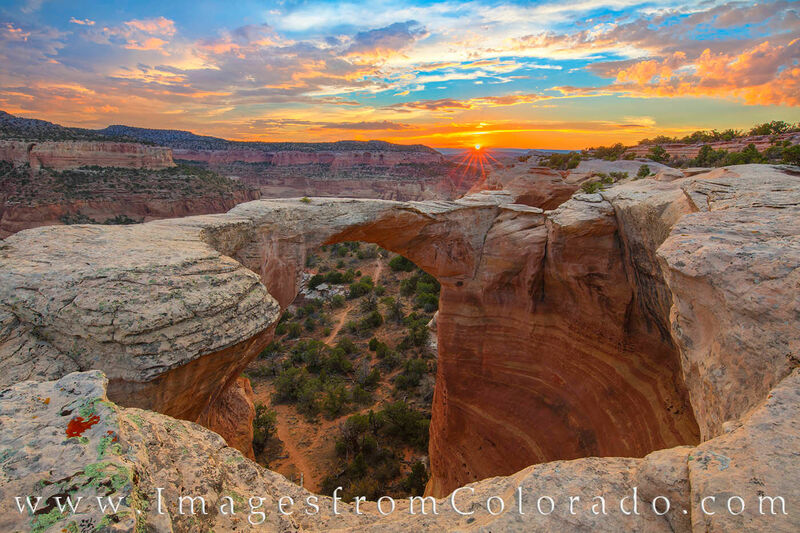 But the views at sunrise and sunset of this canyon landscape are unparalled and quite distinct in Colorado.